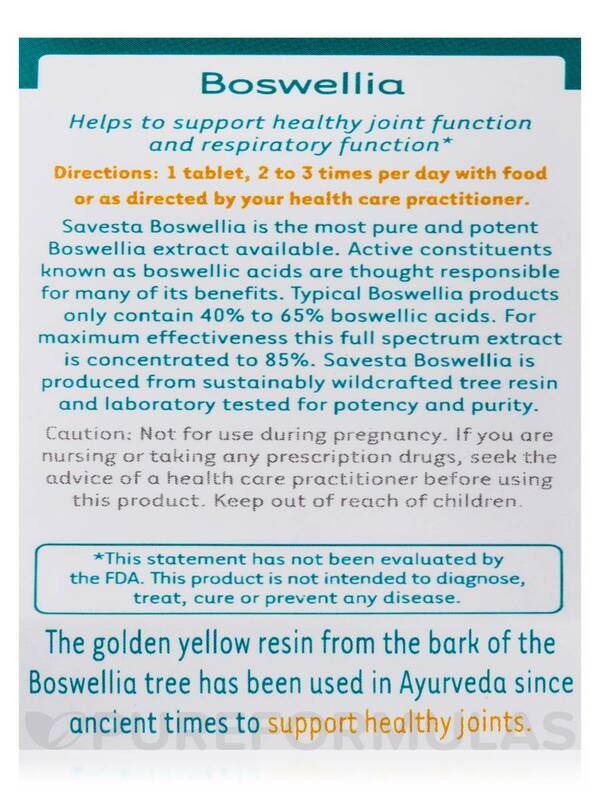 The golden yellow resin from the bark of Boswellia (Boswellia serrata) has long been used in Ayurvedic practice to support healthy joints and respiratory function. Active plant compounds in Boswellia have been identified as boswellic acids. Clinical evidence of this activity is found in placebo-controlled clinical studies. 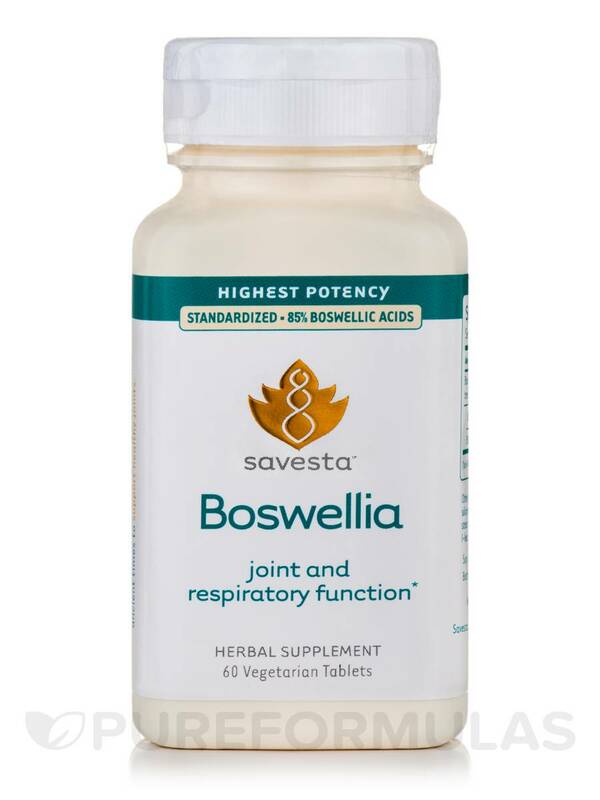 Boswellia supported joint function‚ either when taken alone or combined with other Ayurvedic herbs (Ashwagandha and Turmeric) and minerals. 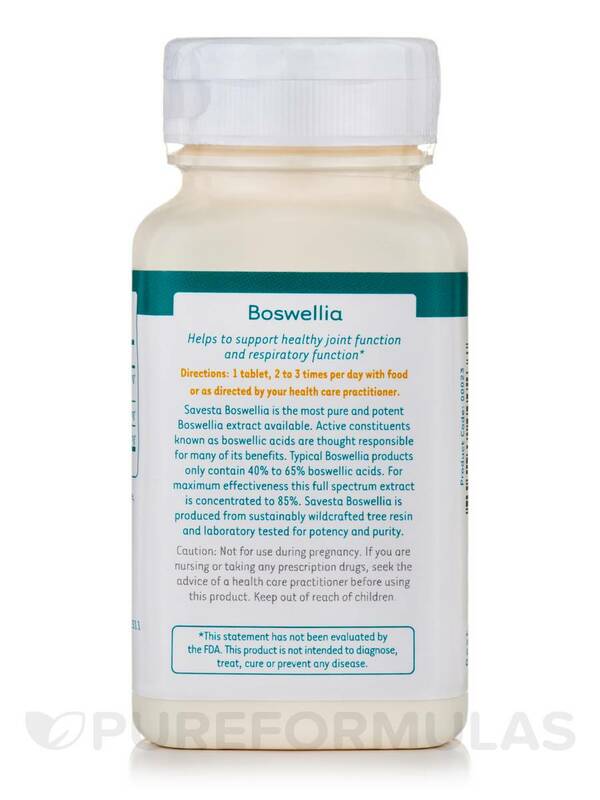 Boswellia has also been found to support healthy respiratory function. 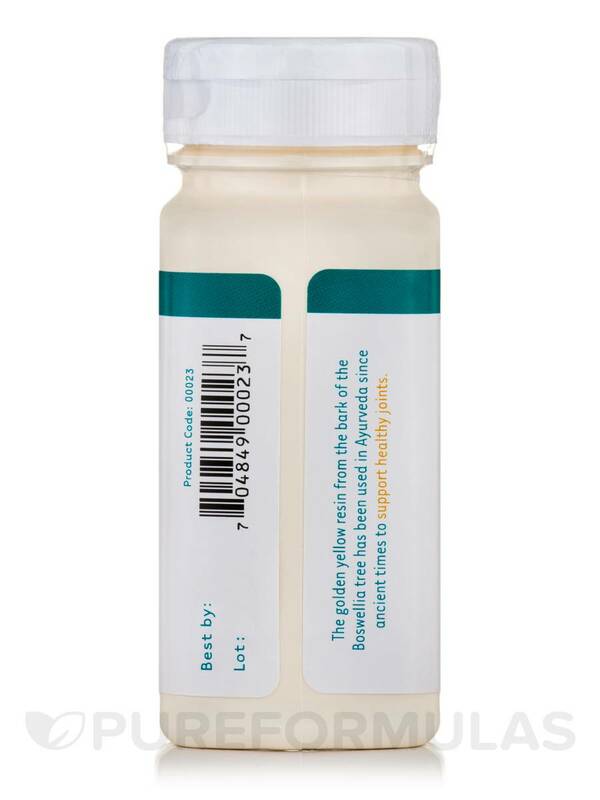 Other Ingredients: Microcrystalline cellulose‚ silicon dioxide‚ croscarmellose sodium‚ stearic acid (vegetable source)‚ l-leucine‚ food glaze. Soy‚ wheat‚ gluten and GMO free. 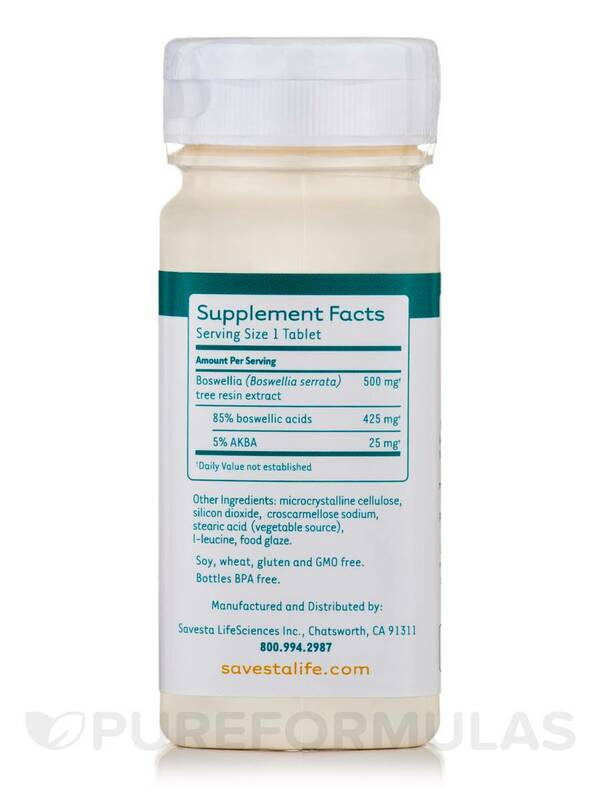 1 tablet‚ 2 to 3 times per day with food or as directed by your healthcare practitioner. If you are nursing or taking any prescription drugs‚ seek the advice of a healthcare practitioner before using this product. There are times especially with cold damp weather I just want to cry with my arthritis especially when OTC pain relievers don't touch the pain. 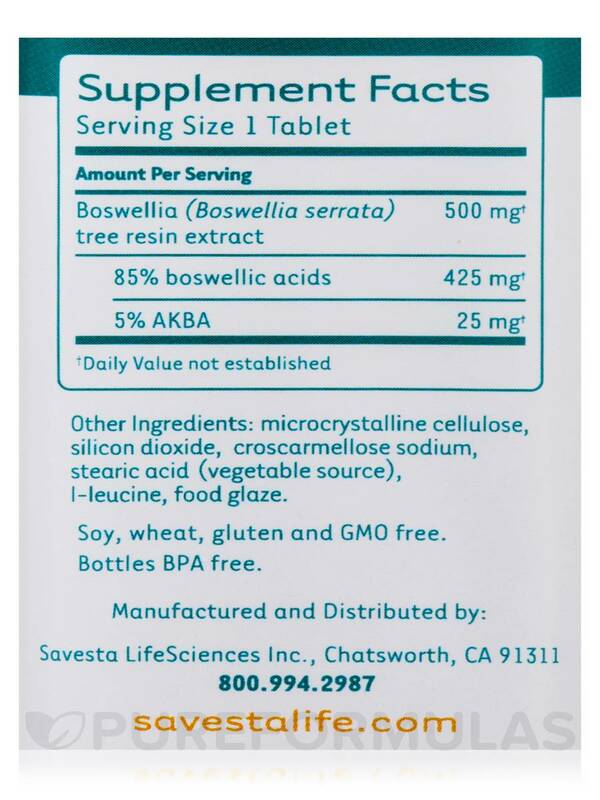 I had heard about Boswellia by Savesta, but since nothing ever worked, I didn't have much faith. Well I was wrong, it's an amazing product and you can start feeling relief, real relief, within a few doses. Best if you take 3 times a day as directed. Nothing except which they sold it in larger quantities.